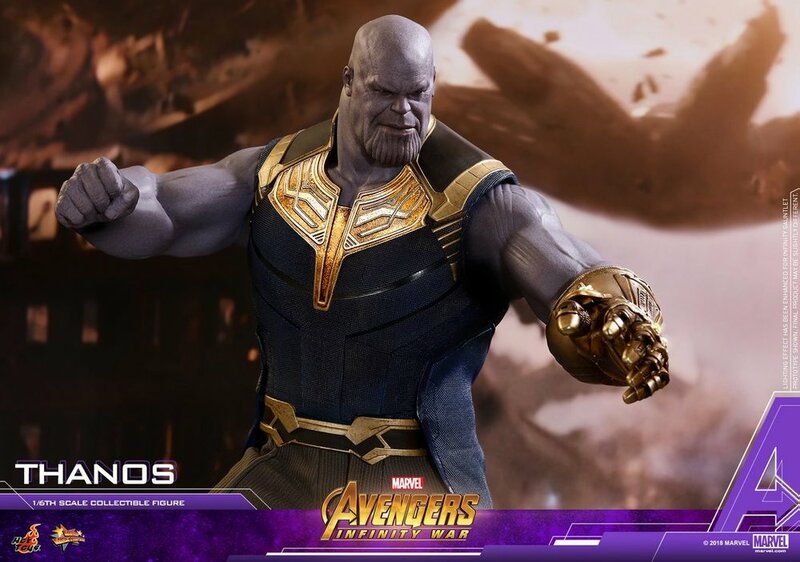 Hot Toys has unleashed their Avengers: Infinity War collectible action figure and this thing is big! 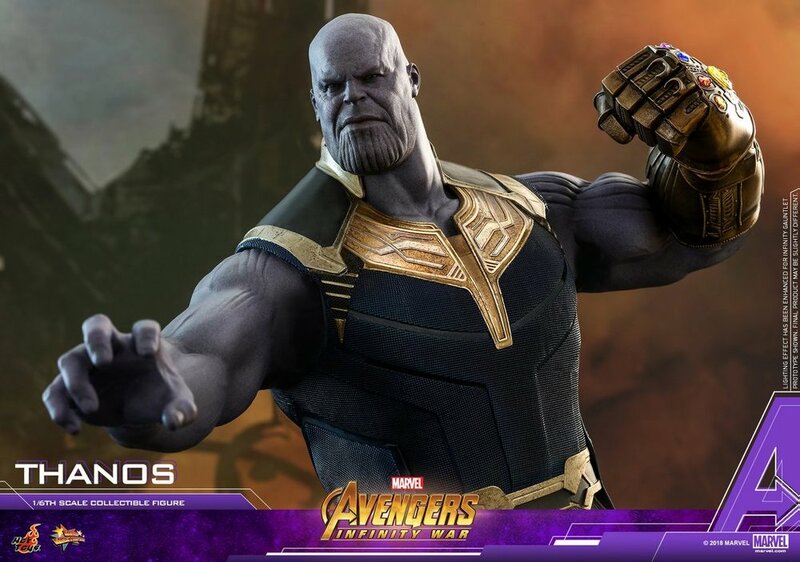 He stands so much taller than the other Avengers Hot Toys action figures! 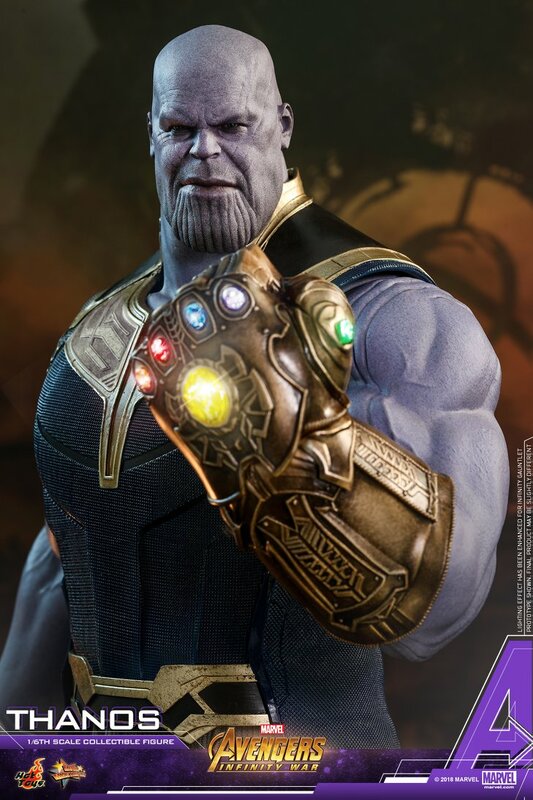 On top of that, as you can see, he has all of the Infinity Stones! 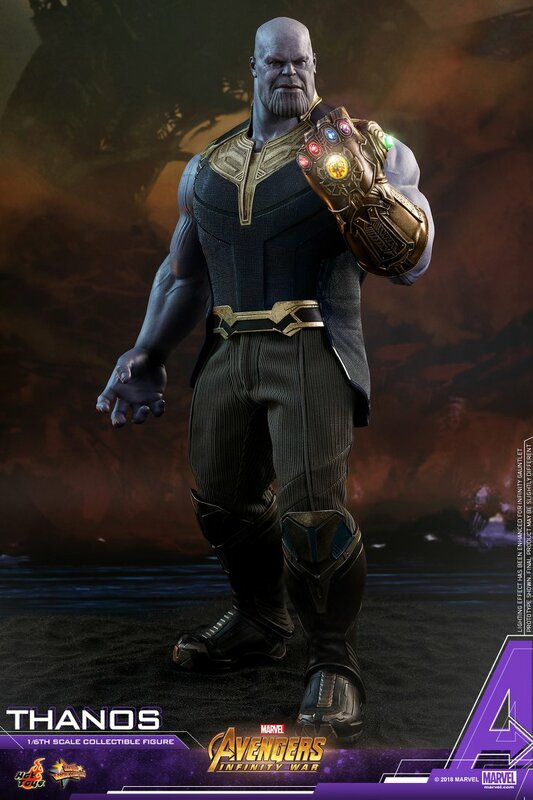 If this is any indication of what happens in the film, the MCU and most of the characters that fill it are screwed. 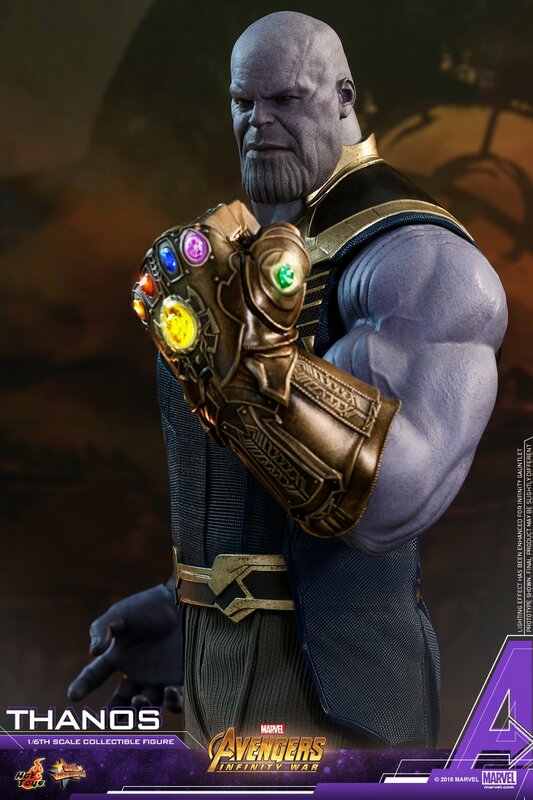 As you know, once the infinity gauntlet is locked and loaded with the stones, all it will take is a snap of his fingers to destroy half of the universe. 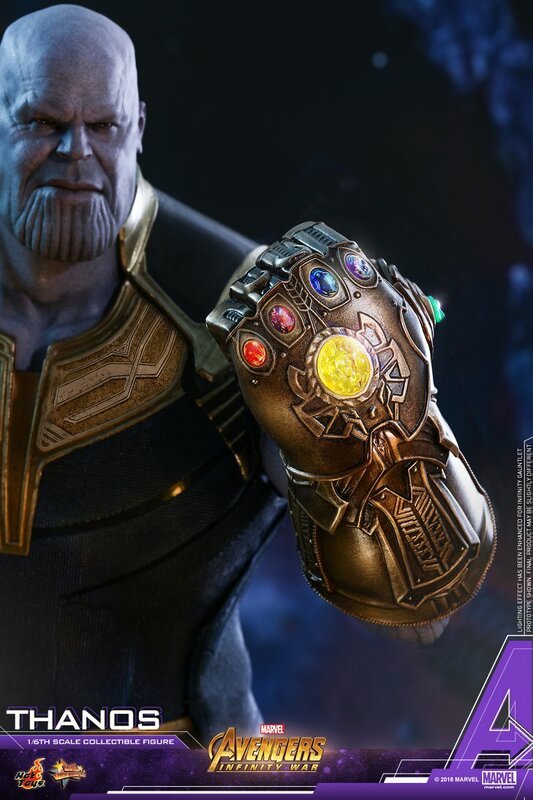 This latest figure is awesome and I would love to get my hands on one! 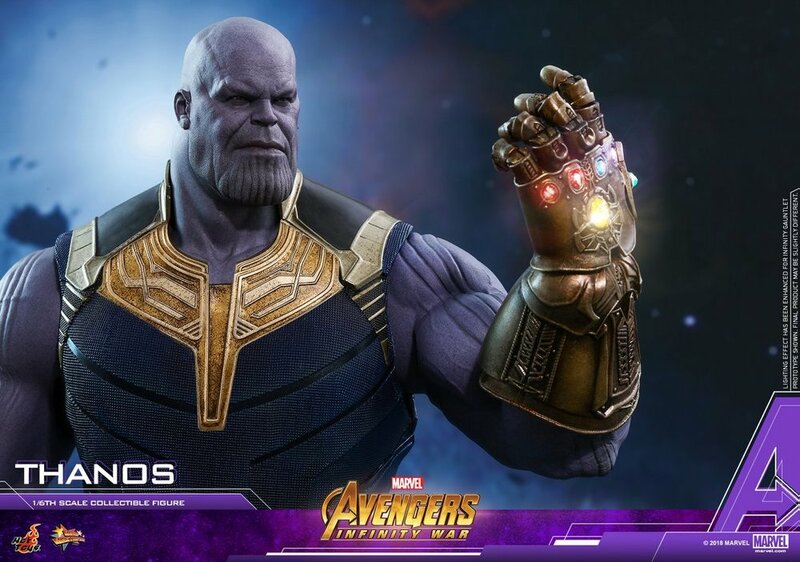 It's probably not going to be cheap, though. 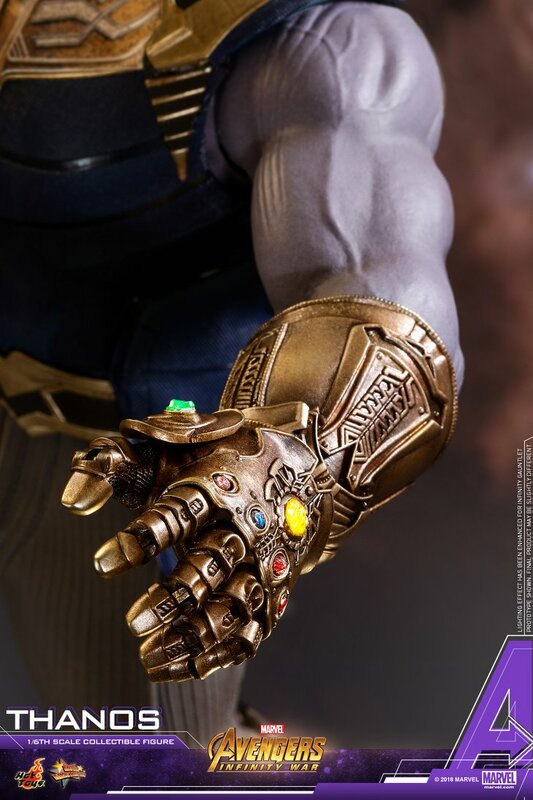 Hot Toys' AVENGERS: INFINITY WAR Iron Man Action Figure and Thanos' Infinity Gauntlet!